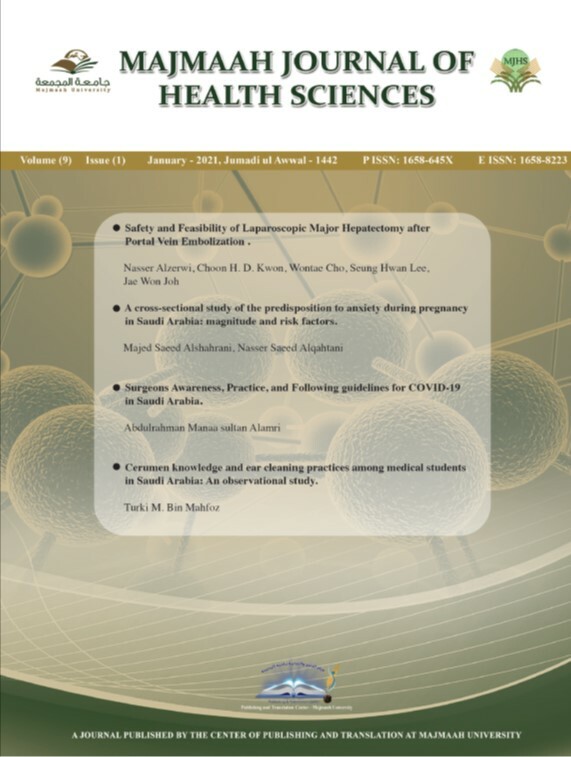 Majmaah Journal of Health Sciences is the official journal published by Majmaah University which is committed at being a dynamic, professional and innovative organisation, to promote research & evidence-based practice in health sciences, so that a firm scientific knowledge base is developed, from which more effective practice may be evolved. The Majmaah Journal of Health Sciences shall be an international peer- reviewed journal which intends to serve researchers through prompt publication of significant advances, and to provide a forum for the reporting and discussion of news and issues concerning health sciences. To ensure that the results of the research are rapidly disseminated to the practicing clinicians and educators throughout the world, in a fashion that conveys their significance for knowledge, culture and daily life.